We love Winter Water Factory's fresh designs and their commitment to sustainability! 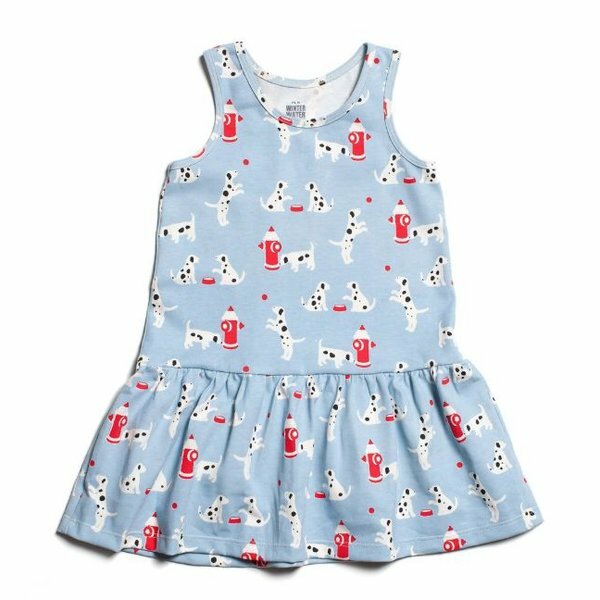 A comfortable summer dress for the beach or the playground with a fun all-over pattern and a drop waist skirt. 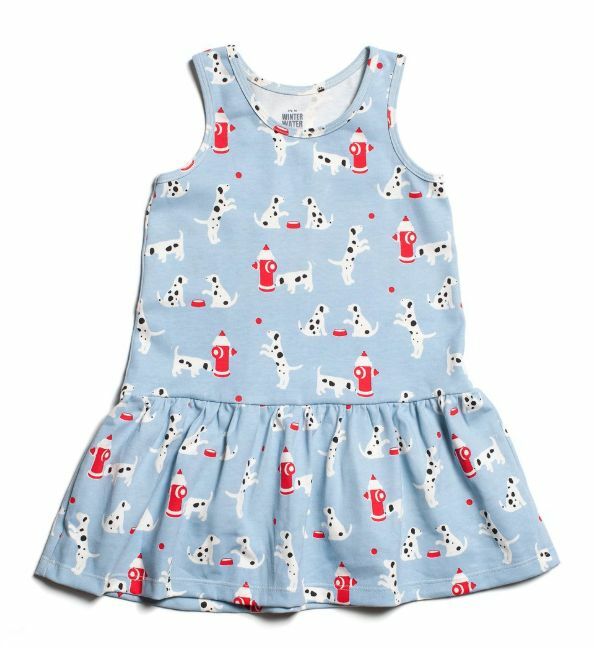 100% organic cotton. Made in the USA.